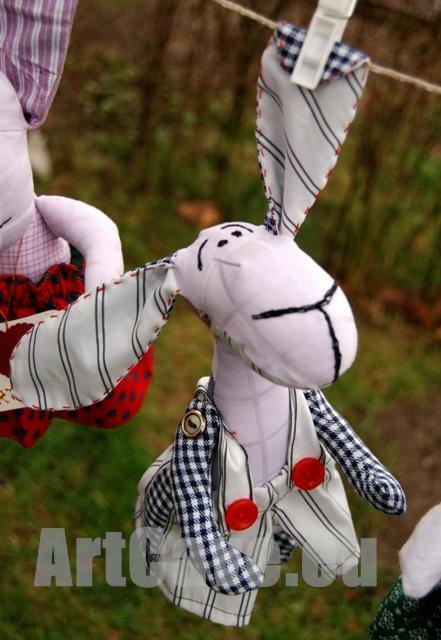 It is hand made and partially machine sewn of various recycled fabrics. 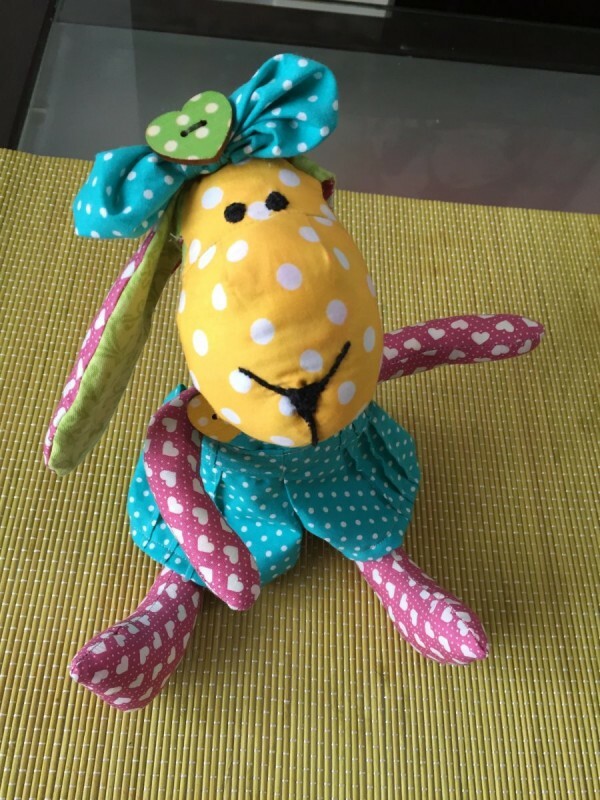 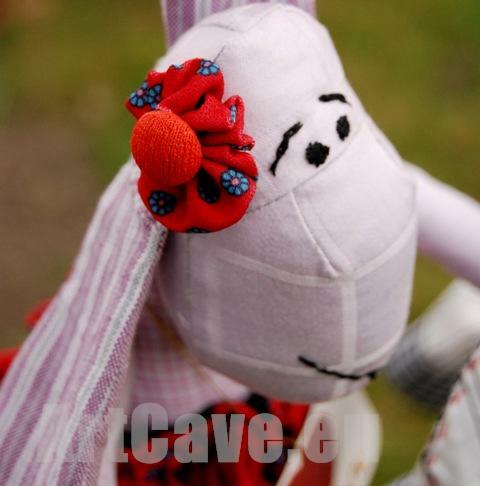 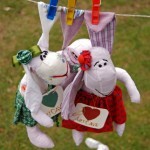 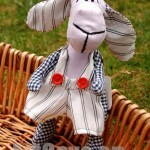 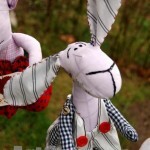 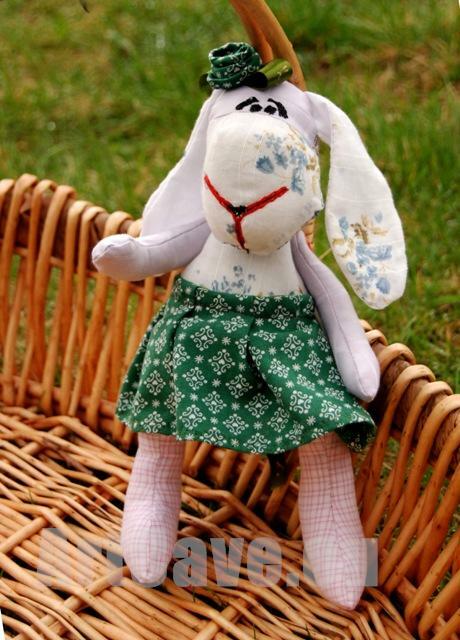 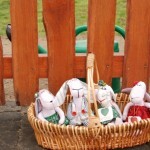 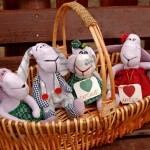 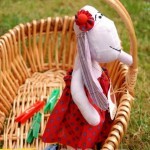 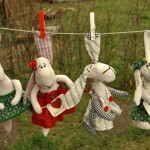 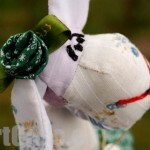 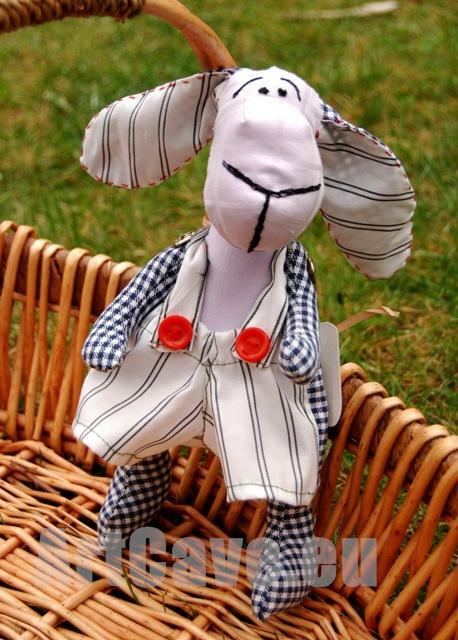 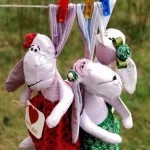 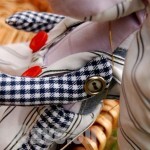 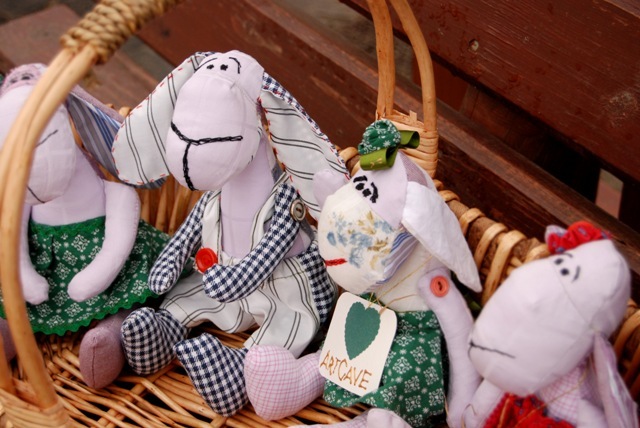 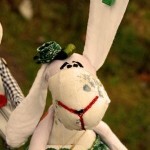 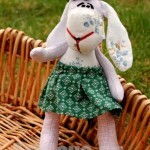 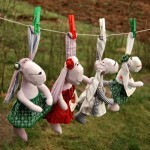 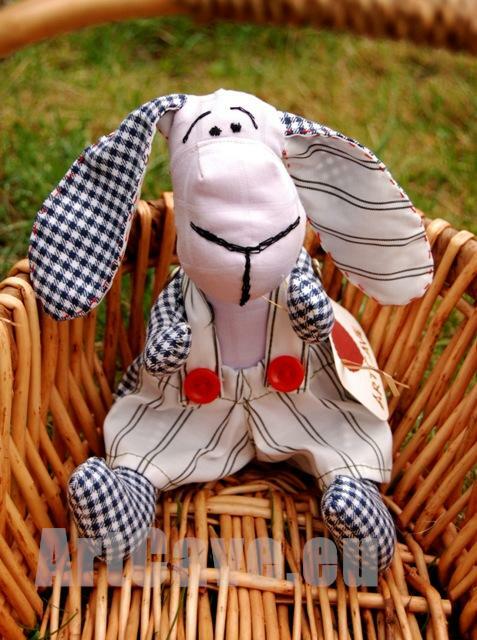 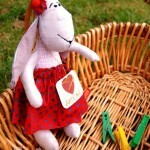 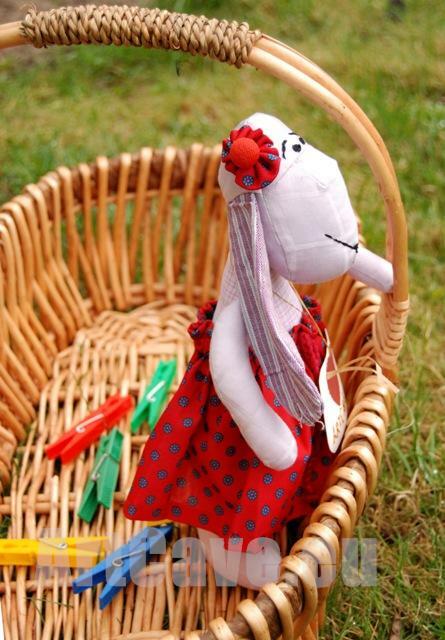 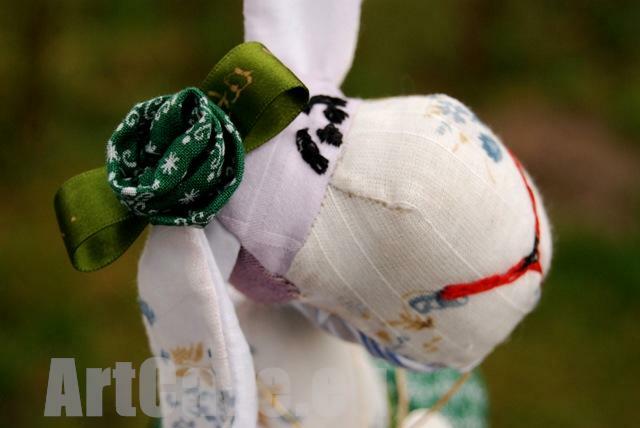 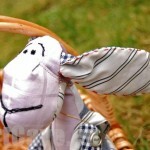 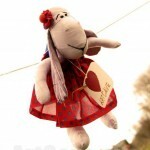 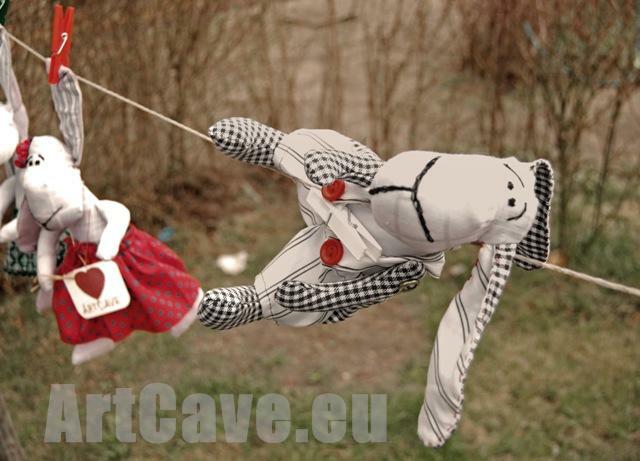 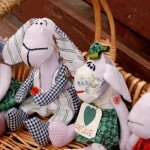 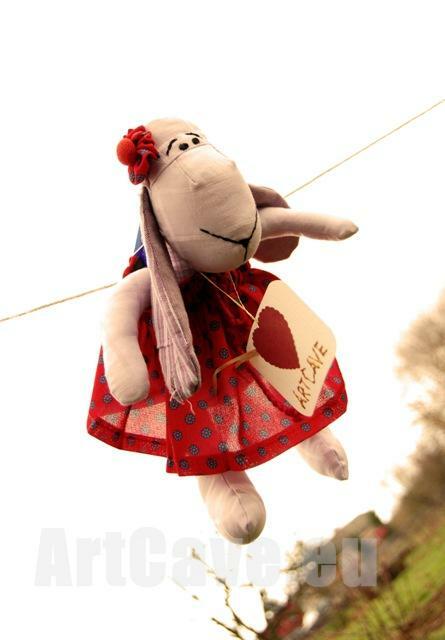 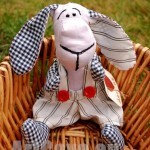 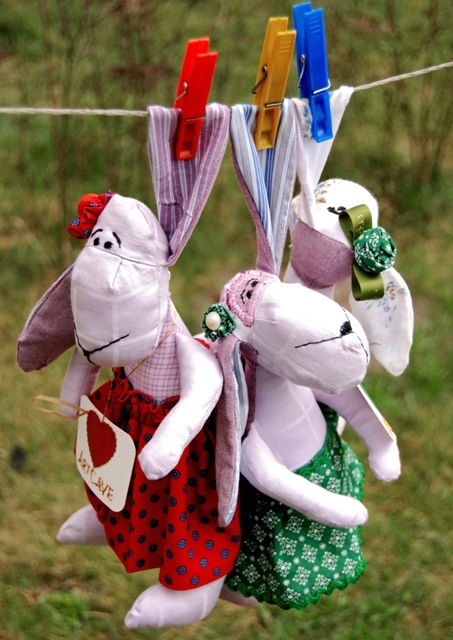 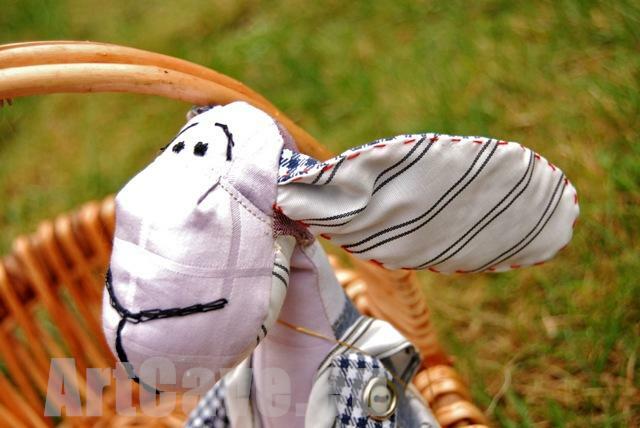 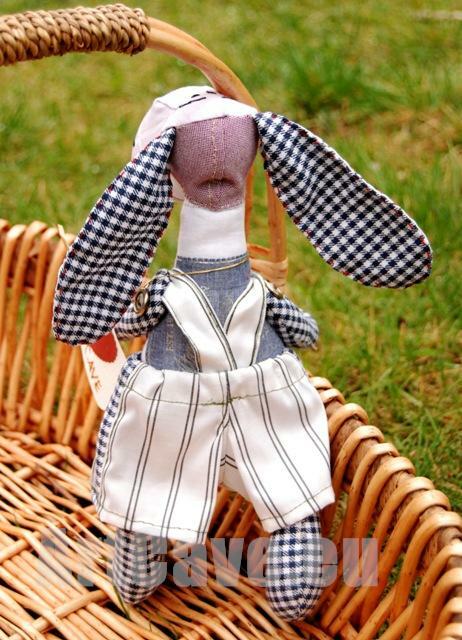 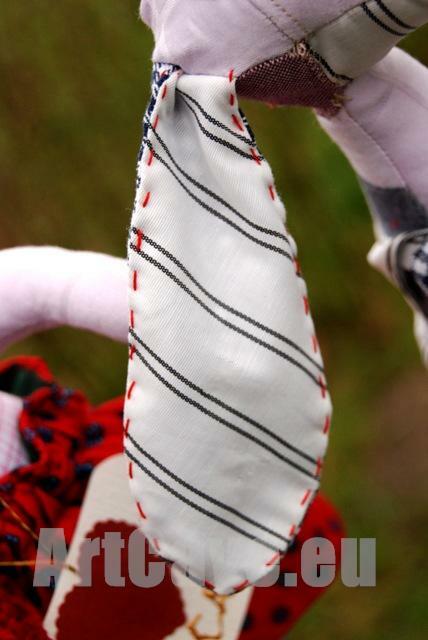 With hand sewn face, it has decorated hand made clothing and accessories which are removable. 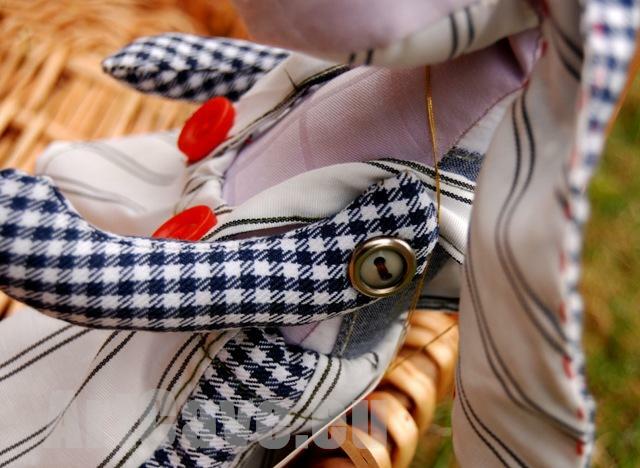 The whole product is filled with anti-allergic, soft polyester fleece. 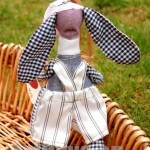 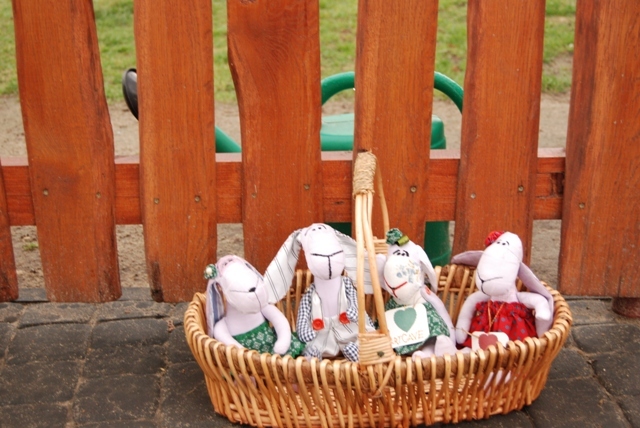 I create each of these hand made dolls individually. 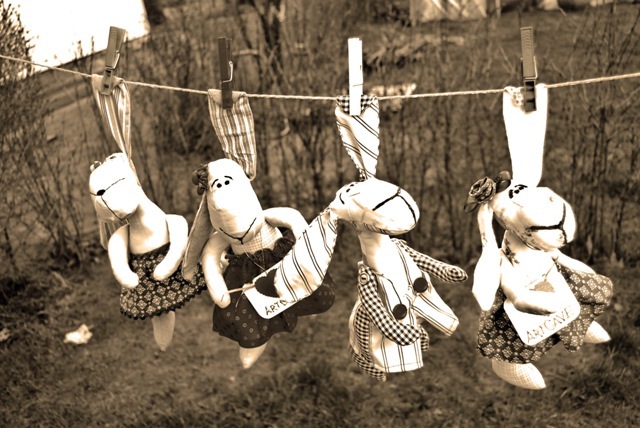 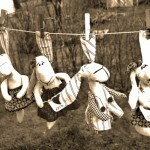 The dolls and clothing are made of mix of new and vintage fabrics. 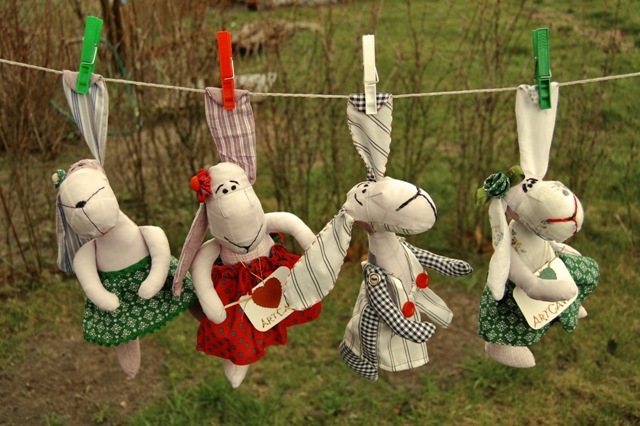 I try to recycle old pieces of clothing (shirts, skirts, dresses coats etc washed in ecofriendly washing powders) and time to time I also use some new materials. 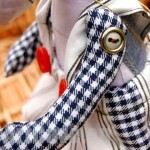 Each product has detailed description of what items is it made of. 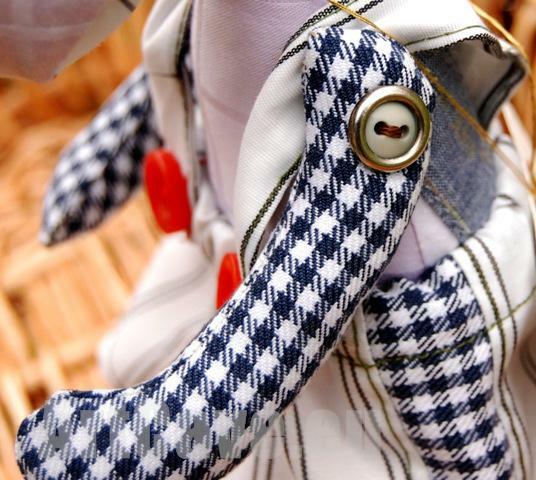 The toy is made in a smoke-free environment, but please note, I have a cat. 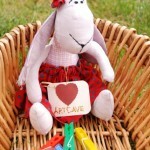 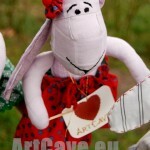 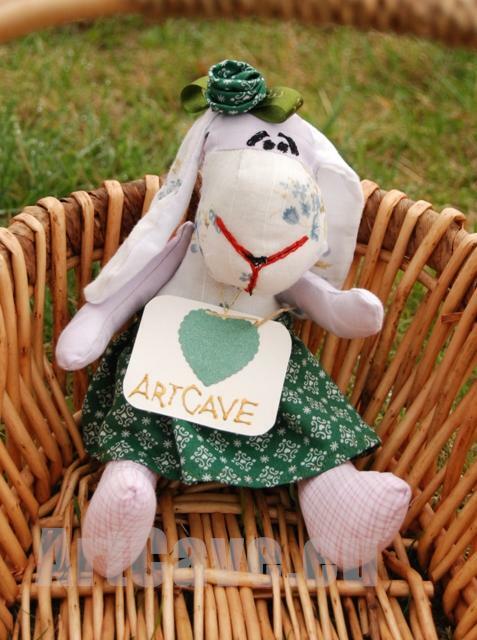 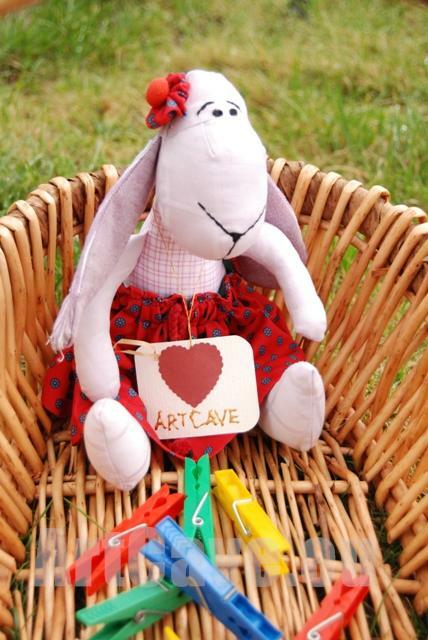 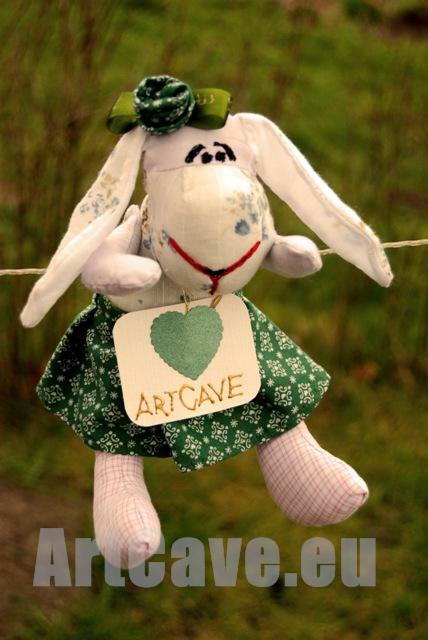 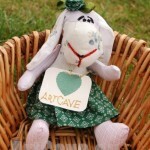 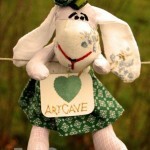 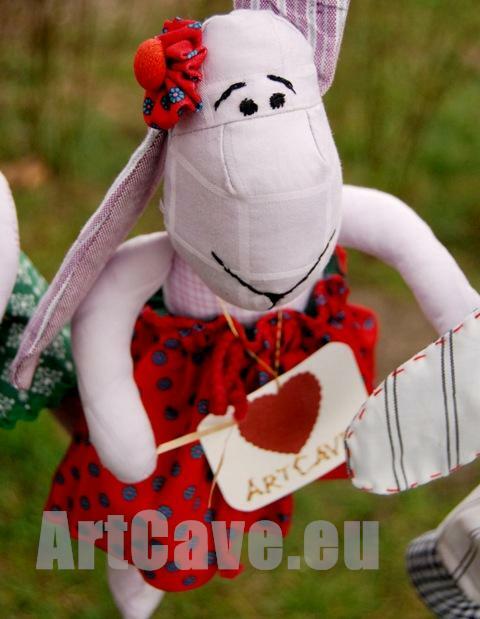 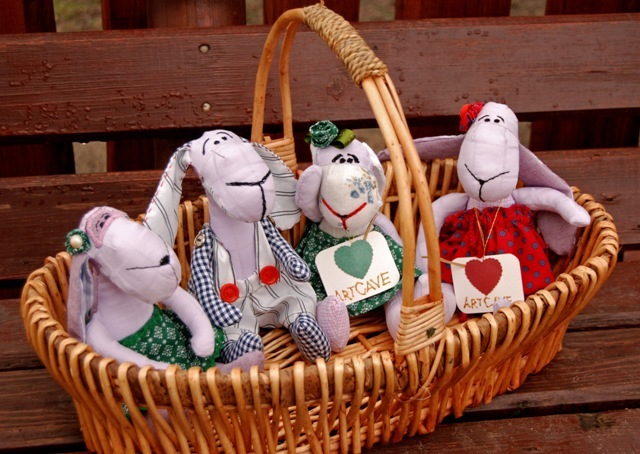 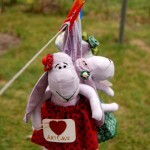 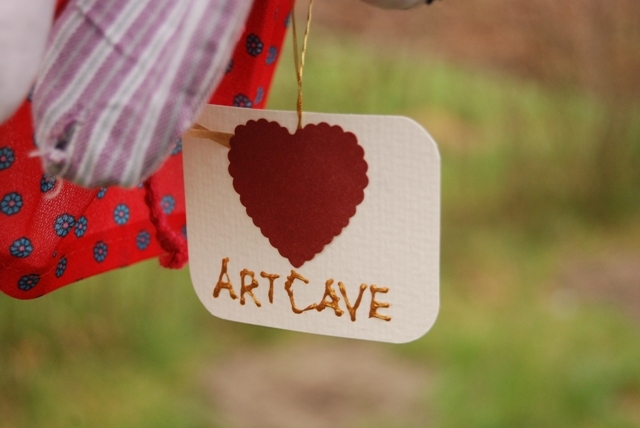 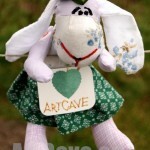 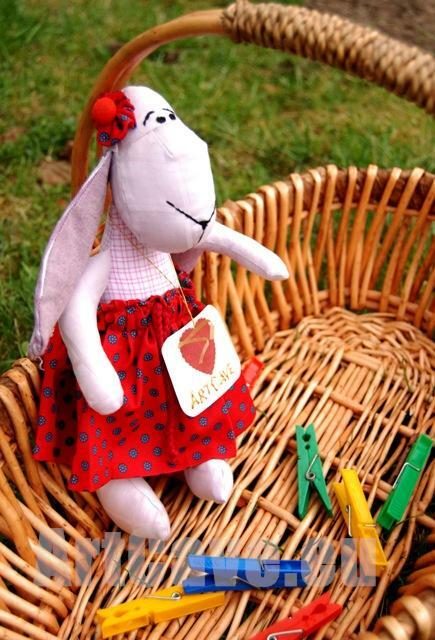 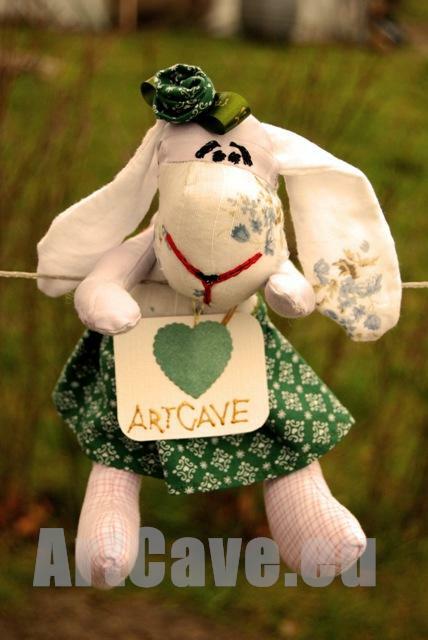 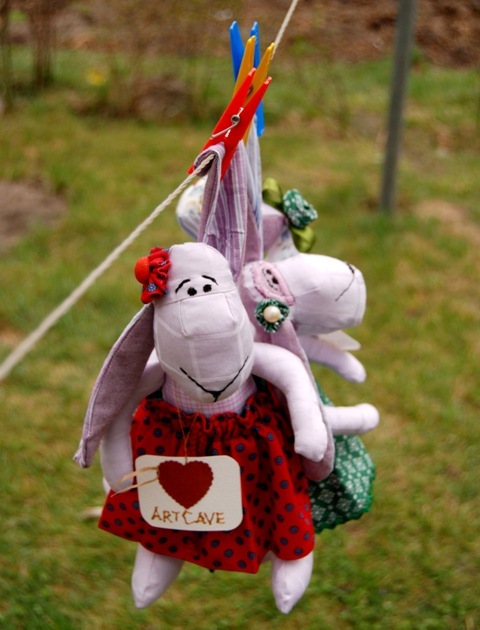 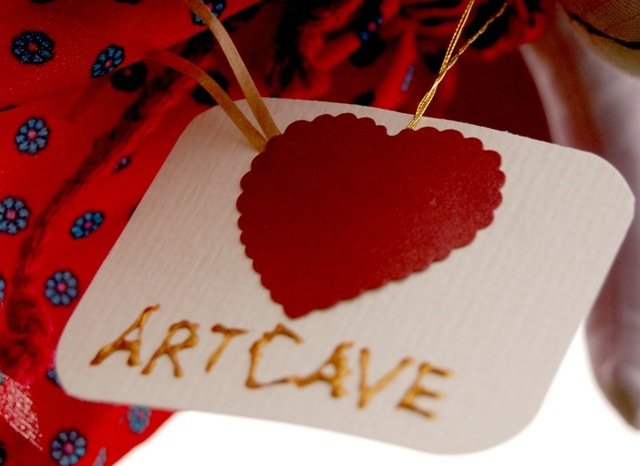 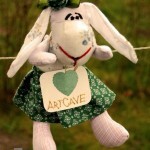 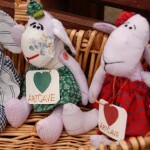 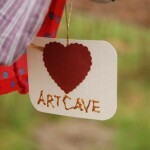 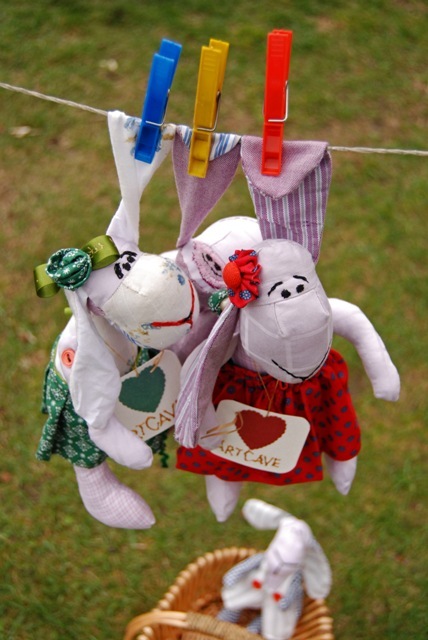 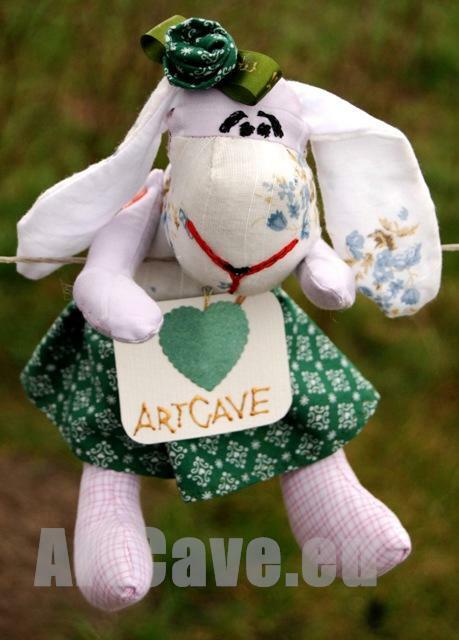 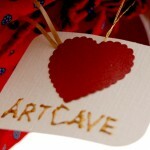 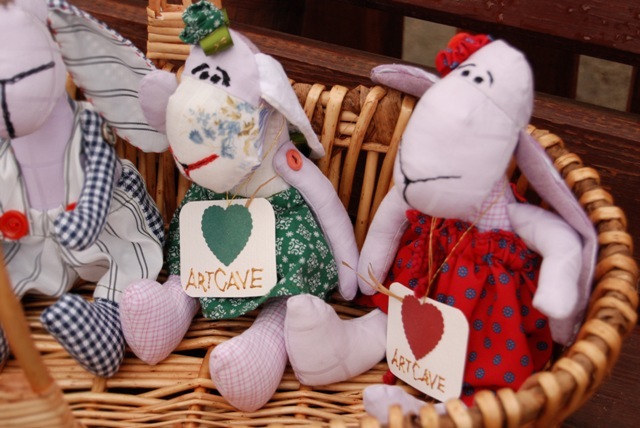 If you want to buy one of my hand made teddy bears and other hand made creatures please visit ArtCave shop on etsy. 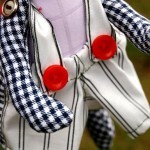 Measurements: approximately 25 cm tall and 10 cm wide. 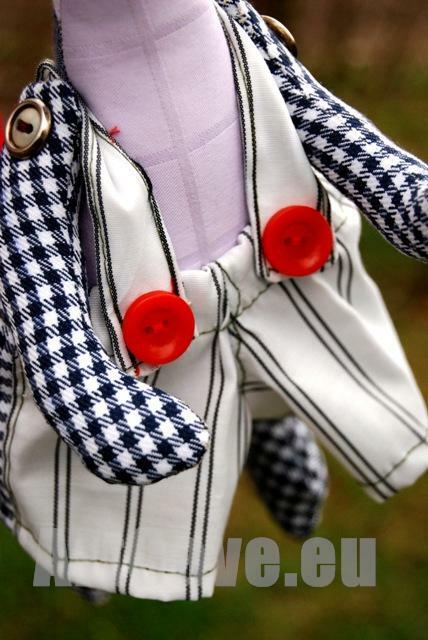 I don’t recommend this for children under 3 years of age as some pieces used are tiny (ie, buttons).